Protect an Ethernet data port from damaging transients. It supports CAT5, CAT5e and CAT6 cabling standards. 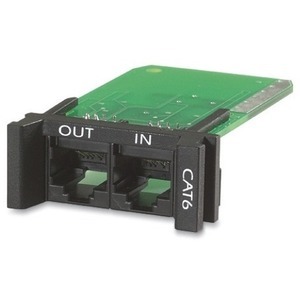 Compatible with Power Over Ethernet (POE) and network speeds up to 10GbE (10GigE).